Two police officers have been shot in separate incidents in what authorities are calling targeted attacks. One died; the other was shot twice in the face but was expected to survive. They were two of four officers shot Sunday in four incidents. A San Antonio detective writing out a traffic ticket to a motorist was shot to death in his squad car late Sunday morning outside police headquarters by another driver who pulled up from behind, authorities said. 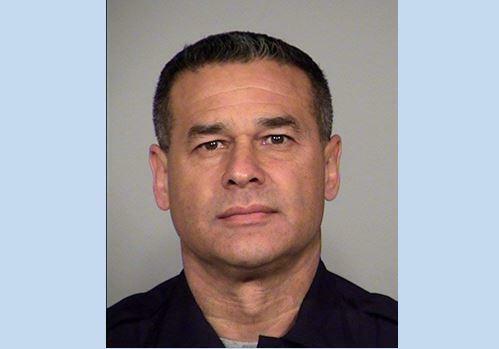 San Antonio police Chief William McManus identified the San Antonio detective killed Sunday as Benjamin Marconi, 50, a 20-year veteran of the force. At a news conference Monday evening, McManus said a 31-year-old man, Otis Tyrone McKane, was arrested without incident after the car he was driving was stopped Monday afternoon on an interstate. Speaking at a Monday morning press conference, McManus said investigators have “several ideas” about why the suspect may have been at the headquarters, but wouldn’t detail them.The suspect asked a desk clerk a question but left before receiving an answer, said McManus, who declined to say what the man asked. Police also released a photo of the suspect’s car, which they believe is a 2009-2015 black Mitsubishi Galant with custom rims. McManus declined to explain why police believe the man shot Marconi, saying he didn’t want to jeopardize the ongoing investigation. CBS San Antonio affiliate KENS-TV reports Mike Helle, president of the San Antonio Police Officers Association, knew Marconi personally. He said Marconi leaves behind two adult children. Police said the search for the suspect was still underway early Monday and that no arrest had been made. McManus said he doesn’t believe the suspect has any relationship to the original motorist who was pulled over, and no motive has been identified. The original motorist was questioned and released, McManus said. “I think the uniform was the target, and the first person who happened along was the person he targeted,” McManus said. McManus called the suspect “extremely dangerous to both the police and the public” and urged anyone who sees him not to approach him, but to call police. The FBI and U.S. Marshals were helping the San Antonio Police Department in the search for the suspect, federal officials told CBS News. Abbott announced a reward of $15,000 for information leading to an arrest in the case, bringing the total reward offered in the case to $25,000. “At this time, we would appreciate privacy to mourn the loss of a wonderful father, brother, grandfather, friend, and last but not least, a peace officer,” the statement read. San Antonio officers were being instructed not to carry out traffic stops alone after the shooting, KENS reports. In St. Louis, a police sergeant was hospitalized in critical condition but expected to survive after being shot twice in the face Sunday night in what the police chief called an “ambush.” Police reported early Monday that the suspect was later killed in a shootout with police. CBS St. Louis affiliate KMOV-TV reports the shootout started when the suspect again shot at officers. Police Chief Sam Dotson said the 46-year-old sergeant, a married father of three and 20-year veteran of the department, was shot twice in the face. The sergeant was released from the hospital Monday. “Fortunately for the blessing of God the officer’s going to survive,” Dotson said during a brief news conference after the shooting. He declined to name the sergeant. the @SLMPD Sgt. is expected to be OK; suspect died after a shootout w/ police says @ChiefSLMPD. Info on @kmov #n4tm. The sergeant was not involved in a call or a traffic stop but was sitting in traffic about 7:30 p.m. Sunday when another car pulled up alongside his marked police vehicle. The officer told police he heard at least two shots. Police reported that officers hours later pulled up behind the vehicle the suspect was riding in, driven by an unidentified woman, and that he fled on foot. Police said the man fired shots at the officers, who returned fire, killing him. No officers were shot. KMOV reports the 19-year-old suspect had abandoned the vehicle he was driving earlier and was at some point picked up in a different car by the woman. Police said the suspect was wanted for violent crimes and likely feared being recognized. Police tell KMOV they knew the suspect by name and believe he could be connected to several robberies and possibly a carjacking and a homicide. KMOV reports officers uncovered a pistol at the scene with a high capacity magazine and investigators say they believe the gunman had additional magazines. Following the shooting, all officers in the city were to begin patrolling with a partner. Two other police officers were also shot Sunday night, but it wasn’t clear whether the incidents were targeted attacks. An officer with the Gladstone, Missouri, police department near Kansas City was shot, along with a suspect. A Sanibel, Florida, officer was shot in the shoulder during a traffic stop Sunday night, and was treated for his injuries and released. Kansas City police issued a statement Monday morning saying that late Sunday night, Gladstone PD stopped a vehicle on a traffic violation. Someone ran from the vehicle, and Gladstone police chased the person on foot. Officers tried to take the suspect into custody and a struggle ensued during which the suspect produced a handgun. Shots were fired and the suspect was fatally wounded. A Gladstone PD officer was also shot, suffering non-life threatening injuries. The driver was taken into custody but was later questioned and released. Sunday’s fatal shooting in San Antonio came less than five months after a gunman killed five officers in Dallas who were working a protest about the fatal police shootings of black men in Minnesota and Louisiana. It was the deadliest day for American law enforcement since Sept. 11, 2001. “It’s always difficult, especially in this this day and age, where police are being targeted across the country,” McManus said. McManus said there was no apparent link between the St. Louis and San Antonio shootings. “I will say certainly that it’s a coincidence, but we’re not going to venture to say that it’s connected,” McManus said.